Orthodox Life Wisconsin is a ministry of the Orthodox Christian Women’s Association (OCWA), a pan-Orthodox group based in southeastern Wisconsin, founded on the principal that through unity and service, we can live our faith. The purpose of this blog is to help foster a greater sense of community throughout Orthodox Christians in our state. The first Orthodox Churches were founded in Wisconsin over 100 years ago, and although the Orthodox Christian population remains small, we welcome in anyone who is interested to come and learn more about the Orthodox Church, and for those who are already Orthodox Christians, we hope to be a resource and foster a greater sense of community. 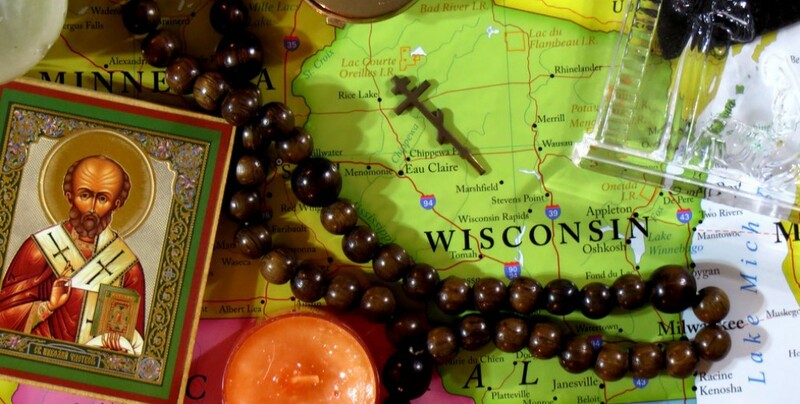 The posts here are a showcase news and events of interest to Orthodox Christians (and those with interest in the Orthodox Church) in and around Wisconsin. Among the things featured here are special services, festivals, retreats, and charitable outreach. Upcoming events will generally be posted to the blog as soon as we have sufficient information; however, as events (or registrations) get near, these posts will usually be promoted to the top as a “featured post”. For a quick overview of all upcoming events, please click over to our Upcoming Events page. To contact this blog directly, please email orthodoxlifewi@gmail.com. We apologize in advance for any errors.